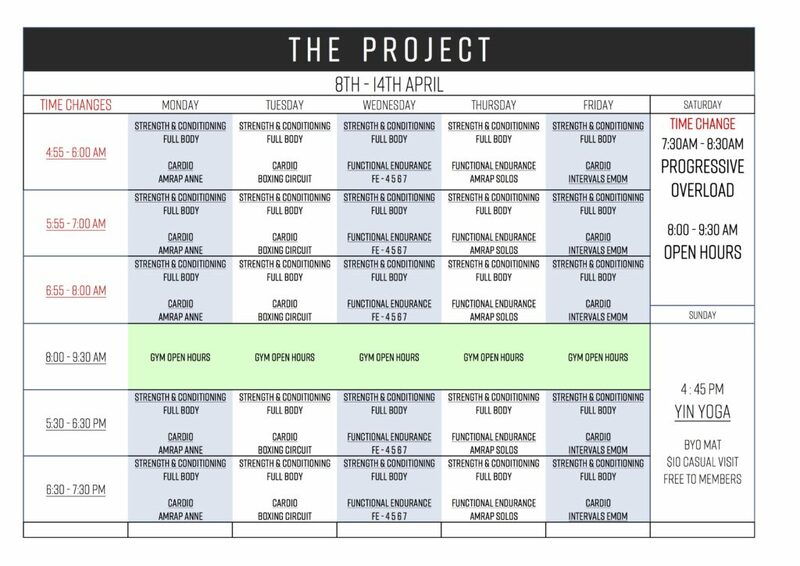 The Projects training sessions are designed for all levels of fitness. We cater to injuries and differences in ability. No matter what your capabilities, you will get a great workout. Start any time and progress at your own pace. Cardio and Functional sessions are challenging, recordable and progressive. Strength training using the fundamental principle of progressive overload to get best results. AS MANY ROUNDS (OR REPS) AS POSSIBLE – Consists of 45mins of body weight cardio. This includes squats, lunges, push ups, dips, running and skipping etc..The program is often in different formats. You will be able to gauge your fitness level through tracking how far you progress through the AMRAP. You a variety of full body exercises. You your body weight and equipment to get a full body work out. It will punish you to your limits and repay you in gratification. Wednesday and Thursday sessions give you the option of upper body, lower body or full body weight training. You can choose upper on Wednesday and lower on Thursday and spend more time on each exercise. Taken from the popular obstacle course race, Spartan Team Challenge will have you working in pairs to complete rep counts and runs.